30.8 Вт⋅ч, 8134 мА⋅ч литий-полимерн., 3,77 V, Автономная работа (сведения производителя): 10 час. A great tablet, but not a pro. The iPad Pro 10.5 is Apple's second generation of the Pro-series. The screen is definitely the star of the show. It has not only grown in size, but it also offers 120 Hz, HDR and claims coverage of the P3 color space. The tablet is on its way to the top with the A10X SoC, but it will still not be a satisfying notebook replacement. iPad Pro 10.5 — очередной этап эволюции iPad вообще и iPad Pro в частности. Apple исследует рынок тем же «методом тыка», каким мы нашли жест переключения кадрирования при съёмке видео: сначала был 12,9-дюймовый экран, затем 9,7, теперь — 10,5. И это мы говорим только про iPad Pro! Тем не менее, нам кажется, что именно формат 10,5-дюймового планшета можно назвать близким к идеалу. Это оптимальное соотношение габаритов, массы, площади экрана и разрешения. Хотя, несколько лет назад то же можно было сказать про 9,7-дюймовые iPad 2,3,4. Выпустив новую линейку iPad Pro, компания Apple сделала давно напрашивавшийся шаг: увеличила размер экрана более компактной модели, практически не поменяв ее габариты. А если учесть, что вместе с площадью дисплея увеличилось и разрешение, а помимо этого существенно повысилась производительность (в среднем в полтора раза), улучшились камеры и продолжительность автономной работы, то обновление смело можно признать удачным. Look past the price and this is a stunning tablet that needs iOS 11 to really feel complete. But if you’re after something that can stand in for your laptop when you’re on the move, the iPad Pro 10.5 is worth your attention, offering the best camera, screen and performance we’ve ever seen on a tablet. It comes at a price, though – and a steep one at that. For some, it’ll be worth every penny. For others? It might feel like overkill. Look past the price and this is a stunning tablet that needs iOS 11 to really feel complete. 100% Apple iPad Pro 10.5 review: The tablet to finally replace your laptop? The iPad Pro 10.5 is a lovely tablet to not only look at, but also to use. It wins on performance, display, camera (if you ever use it), and size. 100% iPad Pro 10.5 Review: Still a laptop beater? The iPad Pro doesn’t do much different compared with the older 9.7-inch model, although you do now get a slightly more spacious screen packed into the same dimensions. With strong accessories support, impressive A/V chops and premium performance and battery life, this really is the ultimate tablet for professionals and creative users. It’s not cheap though, and we’re a bit miffed that the keyboard cover and Pencil don’t come bundled. The first answer is an emphatic yes! The iPad Pro 10.5 ticks all the boxes on what makes an iPad good it is easy to use. It’s lightweight and powerful. It is great for using for multimedia and it’s a true powerhouse for productivity. Throw in the Smart Keyboard and this allows you to really work well on the go (with some caveats). Add in an Apple Pencil and you also have a (from what I have been told) one of the best drawing solutions on the market. I feel that for most people this will tick the box for what they need from a tablet. The iPad Pro 10.5 is by far the best tablet I have used in a while. In fact I’d recommend this over the 12.9 version just for portability. The Samsung Galaxy Tab S3 is a great device but Android as a Tablet operating system lacks the finesse which iOS packs. However, that may all change when iOS 11 is released later this year. iOS 11 will bring many major updates to iPads and will fundamentally change the way people use iPads for productivity tasks. For example, there will be a customizable dock that can be invoked anywhere, allowing users to quickly launch and switch apps. There will also be Multi-touch Drag and Drop, which allows users to drag text, photos, and files from one app to another, very much like what you can do on a Mac. There will also be a Files app, which is like Finder for iOS, which makes it easier to manage and organize your files and data. I have seen demos of it and I can tell you it’s a big deal. I think that it will improve the iPad user experience and make it an even more capable productivity tool and a better primary device. But I'll reserve my final judgment until iOS 11 drops. Despite all its goodness, I believe the iPad pro 10.5 is not a tablet for everyone. If you just want to buy a fine tablet, get the iPad, iPad Mini 4 or the iPad Air 2. This will save you money as well as give you a pretty neat tablet. But if you are someone who is already doing a lot of his or her work on the iPad, take a very close look at the iPad Pro 10.5. If you are already using an iPad for emails. Or for editing photos. Or for working with some videos. Or for annotating documents. If it is something that is always in your bag because you need it for work, the iPad Pro 10.5 is something that is going to wow you. It has a rather steep starting price of Rs 50,800, but it is worth the price. 80% iPad Pro 10.5 Review: Is the Best iPad Good Enough? The 12.9-inch model might have the monopoly on screen real-estate, but 0.8-inches is all it took in the end to put Apple’s smallest premium tablet a step above. Upgrading from the 9.7-inch iPad Pro is probably not worth it if you get on ok with that tablet’s dimensions. 90% Apple iPad Pro 10.5 inch review: Can this replace the laptop? If you are looking for a tablet that will replace your laptop and still let you stick to high-end resource-heavy creativity, then your quest ends here. There is no other tablet that can do this much and this efficiently, that too without breaking a sweat. But if you just want a tablet to browse and consume video, then look at the more affordable iPads. As the name suggests, this is clearly for the Pros. And on the question, whether the new Apple iPad Pro can replace a laptop, I would now be inclined to say yes. I would be comfortable making this my online mobile device and not the backup. iPad Pro 10.5 Review – Is It Worth Upgrading To? Apple recently released two major changes to its line of second generation iPad Pro units for 2017, one of which is a 10.5-inch iPad Pro, which effectively replaced the 9.7-inch model that was released back in 2016. But how much has the latest iPad Pro improved compared to its 2016 predecessors? And is it worth upgrading to? To sum up, it is hard to pinpoint anything wrong with the new 10.5-inch iPad Pro. It is stylish, powerful and a delight to use - be it watching videos or any other media. 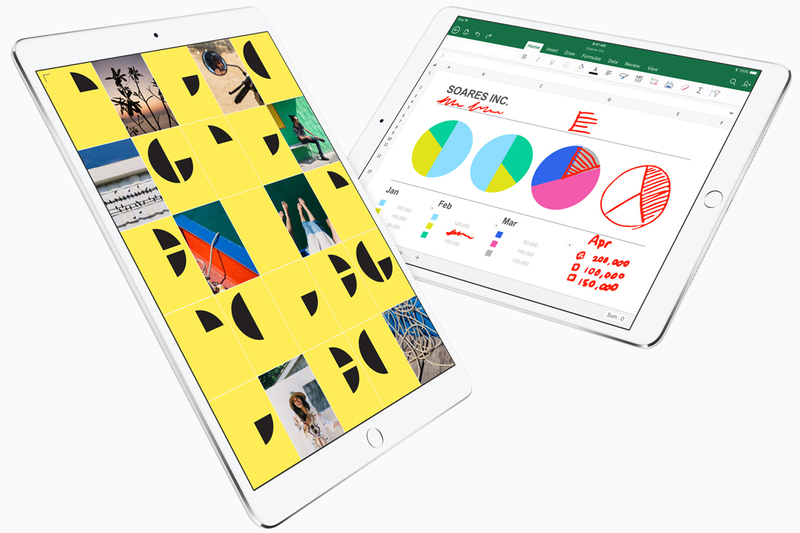 The rollout of iOS 11 in September will further boost the tablet's productivity features and enhance its appeal as productivity machine for business travellers on the go. The tablet is surely a good upgrade over its predecessor and offers some top-end specifications vis-a-vis its rivals. There's a lot to say about the 10.5in iPad Pro, but in short, we think you'll love it. It's a delight to use for a huge variety of tasks thanks to its power, design and great screen size, but it comes at a price. For future-proofing, you'll likely want to opt for the 256GB Wi-Fi model at £709 at least, and when you add accessories like the keyboard into the mix you're getting very close to shelling out £1,000, and for that you could buy one of Apple's laptops. What Apple has done with the new 10.5-inch iPad Pro is that they have taken a tablet that is already without any peers, and made it even better. The display is wonderful and its performance is brilliant. And it is quite remarkable how they have managed to fit a bigger display without increasing its size and weight. The truth is that I've been loving the 10.5-inch iPad Pro since I opened the box. It's a fantastic device, and it's actually a wonderful 2-in-1, and I know that there will be a lot of people that aren't happy to hear that. The 2017 Apple iPad with its 10.5-inch display delivers. Period. It’s got a premium and solid build with almost the same heft as its smaller predecessor, has a gorgeous and feature-laden display, powerful speakers, and definitely more capable internals. If you feel that a larger screen would add an extra dimension of productivity to your tablet-using experience, do think about dropping the extra $150 on the 12.9-inch iPad Pro. But if you all you want is a really well-rounded tablet that delivers one of the best overall experiences we've seen from a mobile device in a long while, you won't go wrong with the 10.5-inch iPad Pro. The iPad Pro 10.5 is a lovely tablet to not only look at, but also to use. It wins on performance, display, camera (if you ever use it), and size, with the promise of becoming even better when iOS 11 becomes available later in the year. That might seem like a lot to ask for a tablet, but then this isn’t just a tablet. Not really. Once iOS 11 arrives, I don’t doubt that people will be ditching their laptops and picking up one of these instead. In short, for most people this needs to be your everyday machine if it’s to make financial sense. Apple is clearly targeting photo and video pros on the one hand, who will find new apps like Affinity Photo that put the A10X Fusion’s potency to work; the others will presumably be the same document editing, email triaging, web browsing users who don’t want the hassle or complexity of a Windows 10 or macOS machine. For the latter cohort, the iPad Pro 10.5’s power and price are probably overkill, but I wouldn’t blame you for succumbing to its charms when you see the ProMotion display. This is only a final review in that you can buy the 10.5-inch iPad Pro in the form described here – but we need iOS 11 to land before we can truly work out if this is a great tablet. It offers great audio and video playback... but we need to assess the potential laptop-beating capabilities the new software will offer. If you’re still clutching an aging iPad, waiting for an undeniable reason to upgrade, the overwhelming power and elegance of the 10.5-inch iPad Pro will convince you to step into the future. This is the iPad you’re looking for. We finally got our hands on Apple’s new 10.5-inch iPad Pro, which just landed in Apple stores today. Our unboxing video will show you all the ins and outs of the new tablet. Take a look at the packaging, what’s in the box and the device itself before you rush out and pick one up. Auf der Habenseite stehen das Display mit seiner hohen Bildwiederholungsrate und der schnelle Prozessor. Wichtige Softwarefunktionen erhält das neue Apple-Tablet allerdings erst im Herbst mit iOS 11. In der Praxis bietet das größere Display zudem nur einen geringen Mehrwert. Das Anfang Juni auf der WWDC vorgestellte neue iPad Pro mit 10,5-Zoll-Display hat in ersten Tests gute Noten erhalten. Apple’s 2017 iPad Pros improve on already excellent drawing, video and photo capabilities, but its true potential won’t be seen until iOS 11 hits later this year. No matter how you slice it, $649 is a lot of money to drop on an iPad. In return, however, you get one of the most powerful tablets around. Most people like the idea of a second screen for occasional web browsing on the couch when they can't be bothered to move to a computer or dig a phone out of their pocket. If that's you, just forget it: The iPad Pro 10.5 is total overkill. The 10.5-inch iPad Pro is arguably Apple's best iPad yet. Coupled with the Smart Keyboard, the Pro is a capable, powerful and impressive looking device. Unfortunately, however, many of the issues that plagued the original Pro remain in this second-generation 10.5-inch iteration, with iOS' limitations as an operating system remaining the most glaring problem. Now that we know that the 10.5-inch iPad Pro is an impressive device and that we further know that iOS 11 is going to radically change how you use it, let’s get back to that value equation I mentioned earlier. Basically, should you buy it? The iPad Pro 10.5 presents a conundrum: it is a stupendous device that I firmly believe most people shouldn’t buy just yet. An extensive revamp combined with the loss of the 9.7in model undoubtedly gives Apple's iPad family range greater clarity. While the standard iPad will be enough for most, the Pro line is there to appeal to those that crave the extra power and screen estate and don't mind paying for it. The new Dock is clearly the most macOS-inspired new part of iOS 11, and underlines just how neatly Apple is streamlining its overall OS experience. iOS and macOS are increasingly borrowing the best of the other’s features, and for the iPad that's a really a good thing. The 10.5-inch iPad Pro model starts at $869 CAD for a model with 64GB of memory, $999 for 256GB or $1,259 for 512GB. For cellular versions of the smaller model, the price is $1039 for 64GB, $1,169 for 256GB or $1,429 for 512GB. All versions of the 10.5-inch iPad Pro are available to order now from Apple Canada’s website and ship within an estimated four business days. Apple is reportedly working on a more-powerful processor for the iPad Pro 2. According to Dutch tech blog Techtastic, this new chip would be the successor to the A9X that comes with both versions of the iPad Pro. If that's accurate, a beefed-up version of the A10 that currently powers the iPhone 7 and 7 Plus, presumably called the A10X, would be featured in the next iPad Pro models. Analyst Ming-Chi Kuo has posited that Apple might reuse the A9X for a new, less-expensive iPad model. iPad Pro 10.5: Test. Czy naprawdę iPad jest aż tak dobry? Imagination A10X Fusion GPU: Эти видеокарты класса low-end предназначены для бережливых пользователей, которые, тем не менее, не прочь поиграть в игры. Они позволяют делать это при низкой детализации и среднем разрешении. Сравнительно низкое энергопотребление (современных представителей этого класса) обеспечивает неплохое время автономной работы соответствующих ноутбуков.